Kayla and her baby barely escaped as flames engulfed their home. One evening in June, Kayla Hoffman was dozing on the couch watching TV. Her husband was out with friends as her little baby slept snuggly upstairs. All quiet. Peaceful. The television on a low level not to wake the toddler. “I looked up and saw a little bit of smoke coming from the door between the house and the garage. So I turned around and decided to get my little baby upstairs,” said Kayla. By the time she got up there the lights were already not working and there’s was smoke coming through the vent. The connected ADT smoke detector sent a signal to an ADT Customer Care Center in Florida. 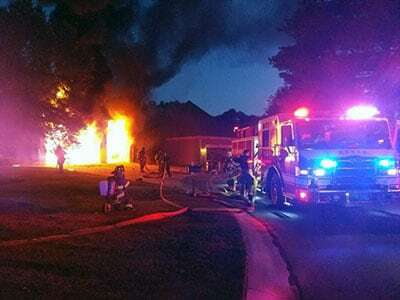 Immediately following up, ADT Dispatcher Jamar Cunningham phoned 911 to report the blaze, sending the local fire department sirening to their home. In a matter of minutes the entire home was shaking with fire. The flames spread quickly as smoke poured through the air vents. 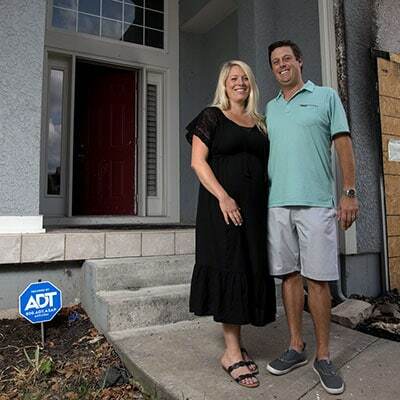 While their house was destroyed along with many of their possessions, the Hoffman’s are grateful their ADT system, backed up by professional monitoring, helped prevent a tragedy. At a recently held Lifesaver Event, the local fire department stressed the importance of having a fire escape plan and using professionally installed and monitored smoke detectors. Luckily this time Kayla did have a plan, never second guess a monitored smoke detector -- and a mother’s instinct.